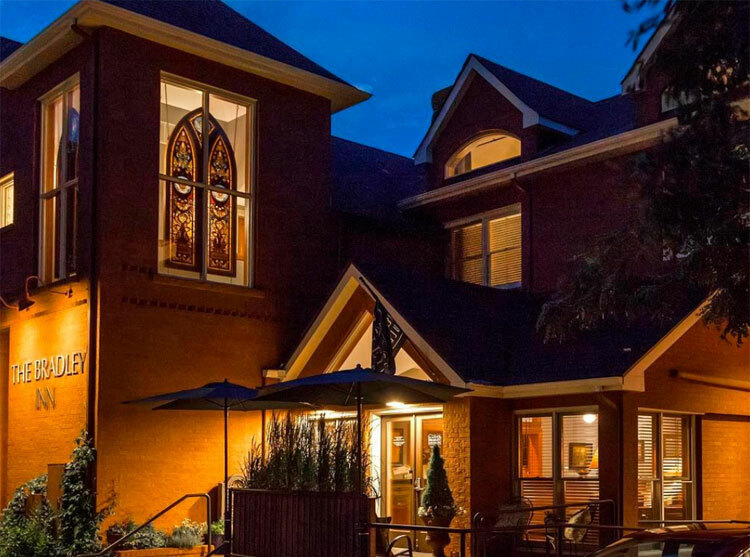 Located one block from East Pearl Street, the Bradley Boulder Inn is an elegant, intimate urban inn. Amenities include complementary afternoon wine and cheese, a hearty breakfast with organic coffee, and passes to a local fitness center. The Bradley's comfortable "great room" allows guests to mingle by a fire or play games of Scrabble. Pearl Street shops are a few minutes away, and the next-door vegetarian Leaf restaurant is developing a strong following. The Bradley is a great spot for a romantic getaway. Note that neither young children nor pets are allowed. The Alps Inn, located within the splendor of Boulder Canyon, is a comfortable, friendly place to stay. Antiques, quilts, and lots of wood accentuate the historical feel of the inn. The Alps is cozy and rustic; those who are seeking posh amenities (or cell-phone service) might want to seek elsewhere. But for visitors who enjoy being near the rock walls and mountain streams of the canyon, the lodge-style Alps will charm you. If you enjoy wild game, try dining at the Red Lion Restaurant, located just slightly up-canyon from the Alps. Interesting trivia: the liquor license for the original Alps Hotel was signed by Teddy Roosevelt. 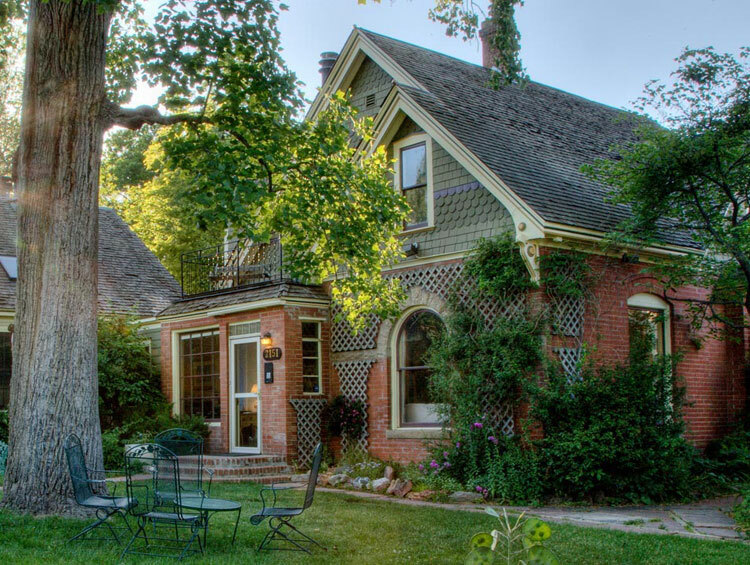 Boulder's most popular bed and breakfast, the Briar Rose is an ecologically-sensitive, spiritually-friendly place. Run by a Zen monk, the Briar Rose features well-tended gardens and a small meditation room. Tea, cookies, and (rare for Boulder) wood-burning fireplaces give a homey feel to the place. An organic breakfast is served daily. The Briar Rose is located directly across from the Naropa University campus, and is only a few blocks from the University of Colorado. Rooms are available in both the main house and a separate carriage house. While you're there, ask your hosts about the myriad "green hotel" practices of the B&B.